A must play golf course for all golfers. Lemuria championship golf course displays quality, nature and beach environment. Villa du Voyageur is located alongside the sixth hole giving you a beach holiday a step away from the best Seychelles golf club. 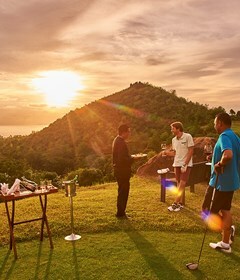 Guest from Villa Du Voyageur enjoys 15% discount when playing lemuria golf club, This include green fees and club cart. 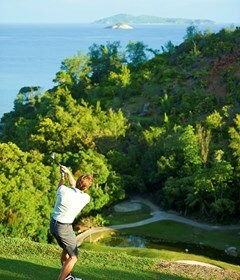 When playing Lemuria golf club you have access to see some of the world most beautiful beaches like anse georgette. Contact us for more information and arrangements.